How Is Your Brushing Technique? Brushing properly is one of the most important tasks we have to learn, as it is something we will do every day to take care of our pearly whites. Getting the basics down is something we want to talk about in this article for your brushing technique. As such, we have asked our Los Algodones dentists about what we should take into account, how we should brush, and what tools to use to carry out this important task. Is there a right way to brush? This is a question that is on our minds constantly: does a superior brushing technique exist? Sure you must have heard about holding and using the toothbrush the same way, but does that really do it? Our Los Algodones dentists say that in order to achieve a good oral health, it is important to nail down the basics, regardless of how you brush you should always aim to do it right and without harming your mouth. 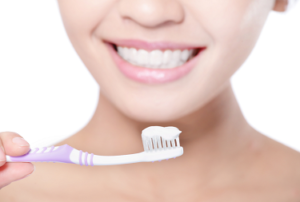 As such, without dwelling too much onto how you should hold that toothbrush or what exact brand you should get, it is more about being mindful and being through with all the brushing surfaces of your mouth. What should I take into account every time I brush? It is important to know the basic tasks you want to accomplish with your toothbrush and toothpaste. To brush the outer surface of your upper and lower teeth. Do not forget to also brush the inner side of them, too! Brush the chewing surfaces of all of your back teeth and molars. Be mindful about the nooks and crevices there might be as food usually gets stuck there. Make sure to scrub the your tongue, inner cheeks and gums. This is a good way to also deal with bad breath, as bacteria and food can be stuck in there without your knowledge. Getting a trusty tool is an important asset towards achieving a good brushing technique. 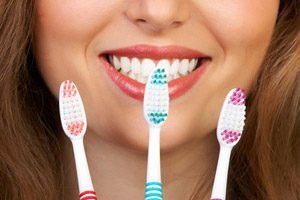 There are many different kinds and styles of toothbrush out there, and knowing what is good for your everyday life is what we seek to know here. Soft-bristles all the way. You wish to remove plaque and bacteria from your teeth while limiting the damage you might inflict to your . A soft-bristled toothbrush accomplishes that and more. It is also easier for the bristles to bend and reach small places. Make sure it is of the right size. A toothbrush too big can make it difficult for you to reach certain parts of your mouth. Likewise, one too small can be a pain to use as it does very little to cover all the areas. Find one that is the right size for you! Replace when necessary. Usually a toothbrush is good for about three months. If you notice the bristles of yours are bent and frayed, consider replacing it earlier. Each brush session should be 2 minutes long. This not only gives you time to brush and get all the spots in your mouth, but also helps giving the toothpaste some time to work on your teeth as well. Tilt your toothbrush 45° against your gumline. This helps a lot in dislodging and brushing away all food and plaque stored inside. Brush gently, not hard. You want to remove plaque and bacteria, not your enamel. Clean between the teeth by holding the brush vertically. This helps getting food out from between the teeth as well as cleaning more deeply in each session. Remember to visit a dentists twice a year. They help keeping track of your mouth’s health as well as offer good advice and guidance. No Replies to "How Is Your Brushing Technique?"